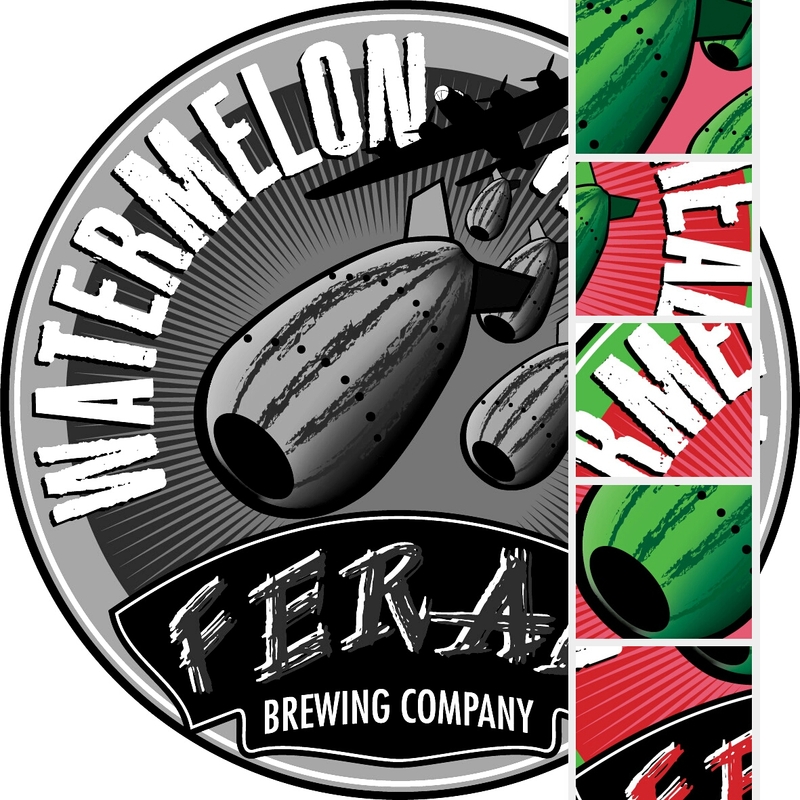 Ever since it debuted at the 2012 Great Australasian Beer Spectapular, Feral’s Watermelon Warhead was one of my white whale beers. A Berliner weisse made to resemble those super-sour Warhead lollies, I didn’t much like my chances of trying it. See it took ages to make and only ever went into kegs – very few kegs. Those kegs all went to the the heavy hitters in the craft beer bar game, so it never came to Wollongong. I eventually did get some – at GABS two years later. The brewers brought all their previous GABS beer to tap at their exhibitor stall. As soon as I walked into the Royal Exhibition Building that Friday morning in May, I headed straight to the Feral stand – and that Watermelon Warhead was the first beer I had at the 2014 GABS. And I had it in that beautiful Royal Exhibition Building, a wooden-floored, high-ceilinged building with arches and wonderful paintings on the wall. Built way back in 1880, it’s 135 years old. I’ve always seen it as a good sign that craft beer fans are trusted with such a building. It feels a little when your parents trust you to stay home without a babysitter when they go out. Us craft beer people must be good people if they’ll let us sit in that lovely hall and drink beer for three days. The building harks back to a time when Melbourne was going through a boom, fuelled in part by the gold rush of the previous decades. Banks and building societies sprouted, keen to loan money to build what would be thousands of cottages in the inner suburbs. There were also lavish 12-storey buildings in the CBD which reportedly rivalled those in New York and London. And there was the exhibition hall, built for the 1880 Melbourne International Exhibition. Back in the day these were a big deal, boasting the best inventions and ideas from the ‘‘modern age’’. And it was a big deal to be chosen to host them, a sign your city had made it. The main building is the only part left of what housed the international exhibition in 1880. There were two brick annexes to the east and west sides of the building (the entrance being at the front and not the eastern entrance used for GABS). Also, to the north there were a range of temporary timber and corrugated iron structures built to house various exhibitions. The timber structures were removed but the two annexes remained for the 1888 Melbourne Centennial Exhibition as machinery halls. The main hall was lit with electric lights, powered by its own generator. This was the first time many people had seen light created by electricity. Two years later, the good times for Melbourne ended when shares and property prices collapsed. Businesses, banks and building societies went under paying investors a penny on the pound (and there were 240 pennies to the pound). Meanwhile, the exhibition building’s western annexe became the home of the state parliament when the federal parliament sat in the State Parliament Building. It was ultimately knocked down in the 1950s. The eastern annexe was replaced by a convention centre, which in turn was knocked over to make way for the Melbourne Museum. The main building narrowly escaped demolition in 1948 and again in the early 1980s. Which was a good thing, because it is now one of only a few remaining exhibition structures worldwide. Which would be why it was granted World Heritage List status in 2004. As the building has been restored, they found as many as 25 layers of paint on some interior walls. As the 1901 design scheme was the most complete, the restoration work was completed to that theme. These days the hall is used as an examination hall for the University of Melbourne and RMIT as well as a number of high schools. It also still hosts a range of events, including a tattoo fair, a dog show and, starting today, the Great Australasian Beer Spectapular. If you get a chance, go to a session. It’s hard to imagine a better room to sit in and drink beer. I will recall this history lesson over an enjoyable paddle or two. Very interesting for a local who knew of its political past but not the evolution of the grand old structure!